St. Joseph Institute regularly hosts Professional Development opportunities – from webinars to workshops, from college courses to coaching – all over the world. SJI is dedicated to helping professionals in the field learn, apply, and hone new skills that will help families and students succeed. We offer a variety of training opportunities in partnership with universities, state agencies, and national organizations. In addition, we can be available to offer direct training to professionals in school districts, including on-going coaching and mentoring. SJI Lead Early Interventionist and iHear therapist Michelle Graham, MS, CED, LSLS Cert AVeD recently contributed to an article in Volta Voices, AG Bell’s publication for families of children with hearing loss. “One of the ten principals of LSLS is to help promote education in typical classrooms for children with hearing loss,” she remarks. “The role of an LSLS educator is critical in supporting, empowering and helping a family advocate through the IEP process.” The article, located in August’s issue, is a valuable resource for any family heading into mainstream school environment and securing services for a child with hearing loss. 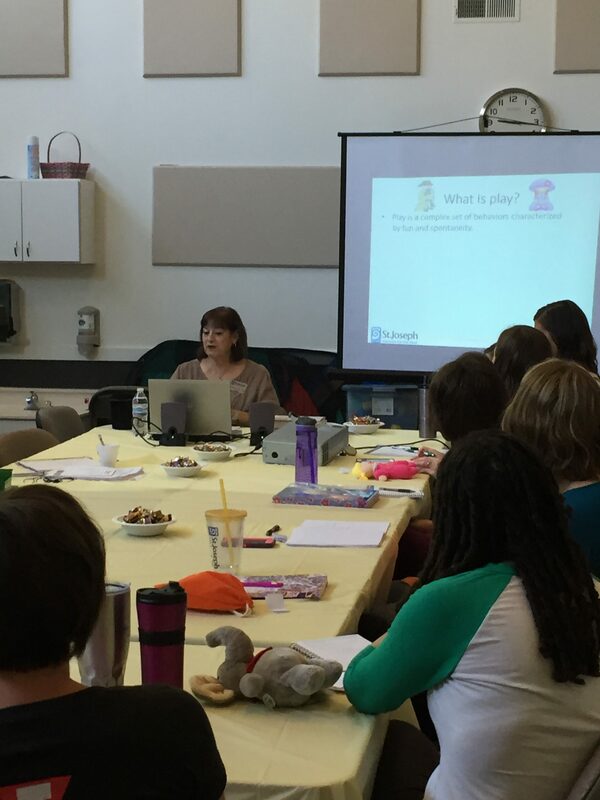 iHear and Early Intervention Therapist, Barb Meyers, MA, presented a workshop to Early Education teachers in Indianapolis, IN. Focusing on play and its significance in developing language, it targeted children who are deaf and hard of hearing. “Play is the universal language of childhood. It is through play that children understand each other and make sense of the world around them,” she says. 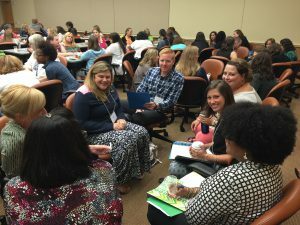 “Cognition, language, and play go hand in hand and have a powerful impact on our children’s ability to communicate.” She coaches other educators on the theory that play allows children to use their creativity while developing their imaginations, dexterity, physical, cognitive, and emotional strength. Through play, children experience others’ points of view by working through conflicts about space, materials, or rules. “Play is important to healthy brain development and provides the opportunity for children to practice their communication skills,” she councils. Children who are deaf or hard of hearing often have difficulty with dramatic play. For example, a child who is 3 years old, according to the Cottage Acquisition Scales for Listening, Language and Speech (CASLLS), would use some internal problem solving, imaginatively role play with peers, pretend to be a caregiver, and use some form of sequential play. “Because cognition and language go hand in hand, if a child is chronologically 3 years of age, but functioning at an expressive language age of 18-24 months, they don’t have the cognitive ability to use their imaginations to “pretend” to take on a “role” or the language to communicate that role to others. Want to see if Barb’s knowledge can help your staff reach children with hearing loss or just curious to know more about play? Call us at 314-918-1369 and schedule an in-service. Executive Functions are the set of mental skills that help you get things done like take notes in class, manage time, or knock out a to-do list (click here for a more detailed explanation). 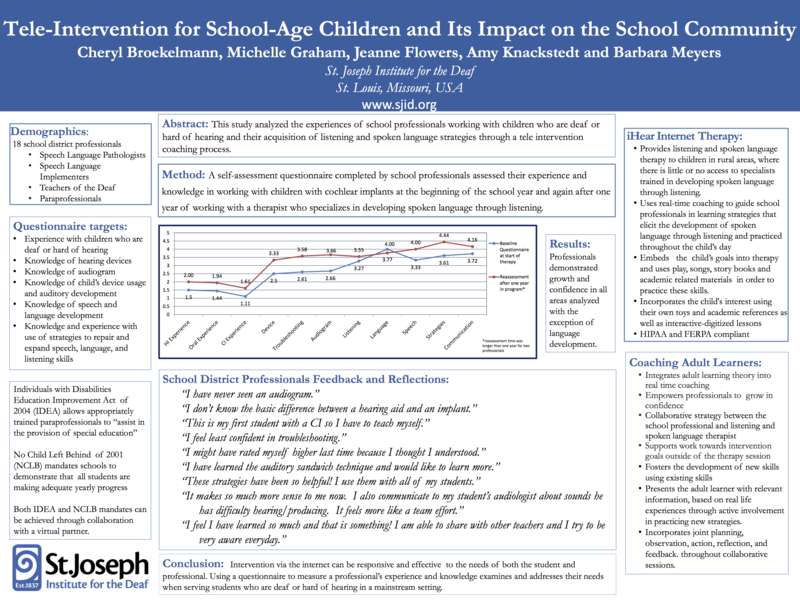 Children with Hearing Loss Research has shown that students with hearing loss, even those who are remarkably successful in language and literacy, often show marked delays in Executive Function. This puts them at risk in school, work, and personal achievement. It calls us to question whether these deficits are the result of a lack of auditory access, or if parents and professionals perpetuate the delays through our teaching approaches. EF skills are based on the development of the Prefrontal cortex, and just as we are concerned with the development of the auditory cortex, it’s necessary for us to directly address these issues early and throughout each child’s education. We believe that Listening & Spoken Language (LSL) professionals are in a unique position to assess and address EF development, especially at young ages, because of our approach to early intervention and our direct influence on parenting practices. 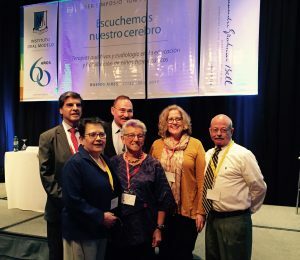 At a conference in Buenos Aires, we will examine as a community the components of Executive Function, look at their relationship to communication as a whole and audition in particular, and look for ways we can utilize best practices in LSL to advance Executive skills. Building Self Advocacy through Auditory Function Auditory Functioning may be the most significant of the nine domains of the Academy for Listening and Spoken Language. It involves more than just the building blocks of detecting and identifying sounds, words, or sentences. It implies a level of integration of listening skills into communication, processing, self-awareness, and the management of daily life. Want to see if Teri will come to your location and help staff understand how Executive Function might play a role in your students’ academic success? Call 317-471-8560 or complete the form below. Barb Meyers, MA,Ed. CED and Judy Odendahl, MAEd, LSLS Cert AVEd recently presented to The Low Incidence Institute, a subset of the Pennsylvania Dept of Education Professionals. The topic centered on recognizing the positive relationships among singing, music, and enhanced plasticity and relevance to development of auditory processing and spoken language. 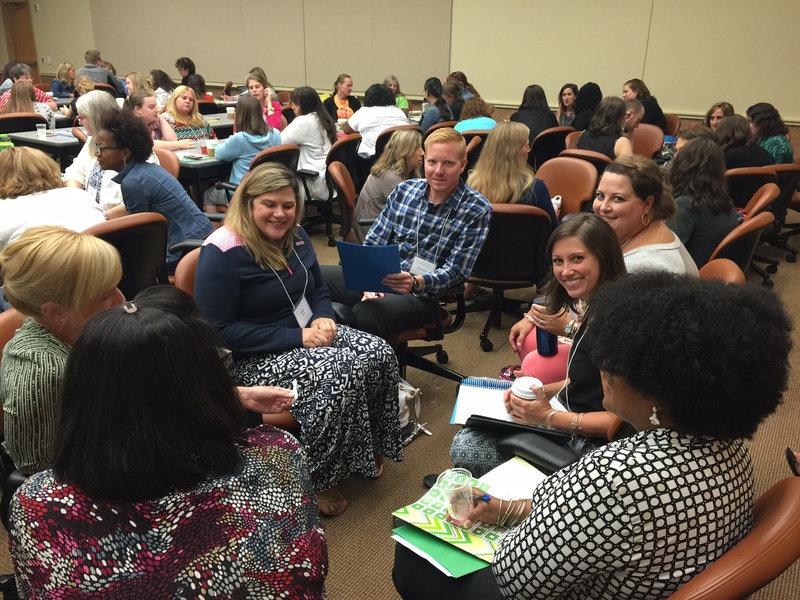 Participants were asked to synthesize the information they learned using a familiar tune working as groups. “Singing addresses specific language goals and utilizes auditory verbal strategies,” says Judy Odendahl. “It focus on development of speech, breath flow, and supports phonemic awareness,” continues Barb Meyers. “It’s just good way to invite children to become active participants.” We know you want the songs and maybe even the PPT so click on this link to view. 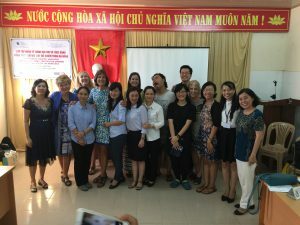 SJI Judy O returns from teaching in Vietnam! 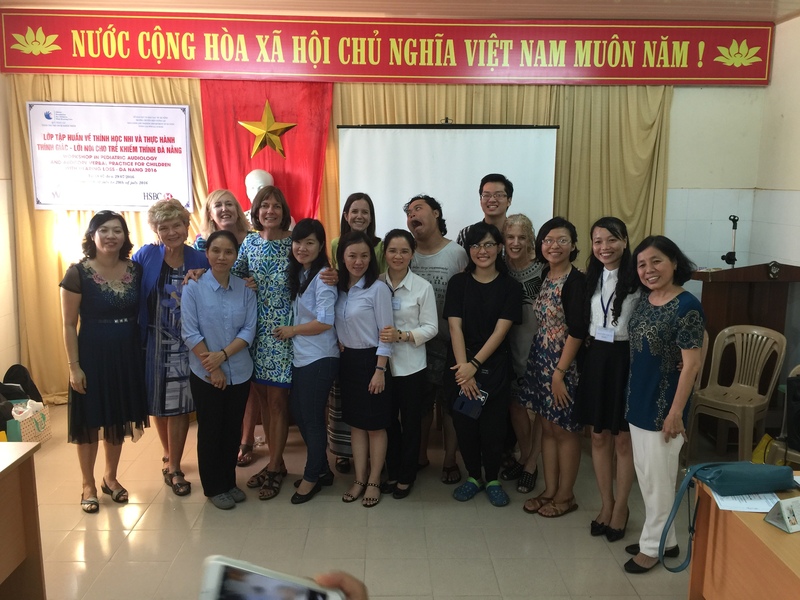 Judy Odendahl, MAEd, LSLS Cert AVEd, spent part of the summer teaching in Da Nang Province in Vietnam. 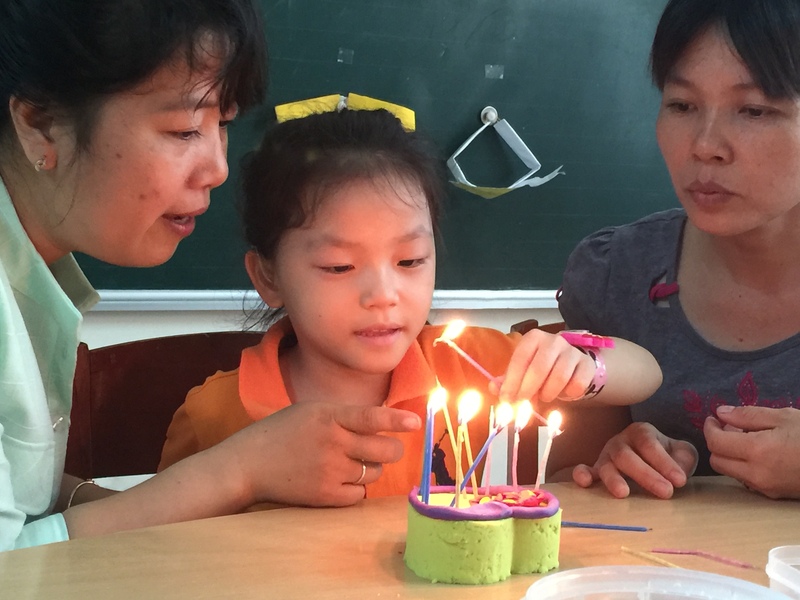 In cooperation with the Global Foundation for Children with Hearing Loss, Judy travels during the summer to help new deaf educators serve the more than 180,000 children with hearing loss using LSLS based techniques. “It’s really amazing to work with these young professionals,” says Judy. “In Vietnam, it’s not unusual to find children still not diagnosed at 3 or 4 years. While I was there, an infant was amplified at 8 and 1/2 months. 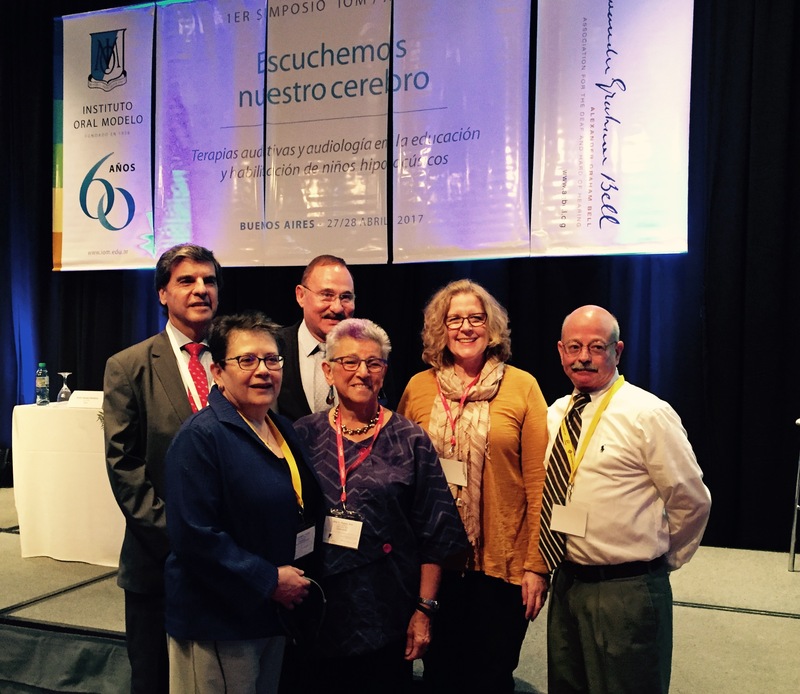 It’s unheard of and definitely different than our experience in the States where Newborn Hearing Screening occurs in every state.” The mentoring program, which began in 2010, has grown to support the country as a whole. “Today, the teachers we initially mentored have mentees of their own. It’s so exciting to see the growth, which in turn, benefits the children,” Judy exclaims. Flowers, J. “Setting G.O.A.L.S. to Develop Listening and Spoken Language” Wisconsin, Educational Services Program for Deaf and Hard of Hearing, 08/09/17-08/10/2017. Broekelmann,C. 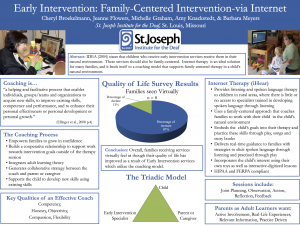 “Listening and Language through tele-therapy” Fontbonne University Symposium 04/05/2017. Broekelmann, C. “iHear Update to Community” National Center for Newborn Hearing Assessment (NCHAM), 04/26/2017. 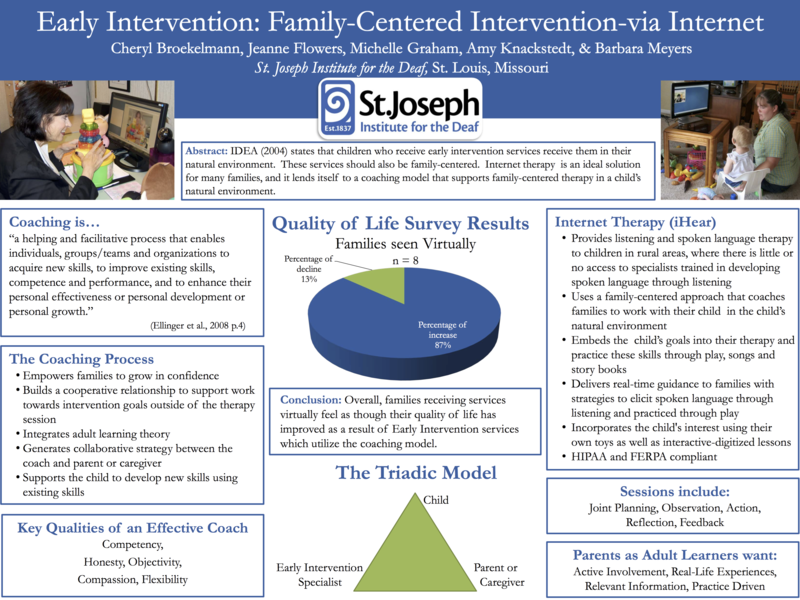 Broekelmann, C. and Graham, M. “Tele-Intervention and Children with Additional Special Needs” 2017 National Early Hearing Detection and Intervention (EHDI) meeting, Atlanta, Georgia. 03/15/2017. 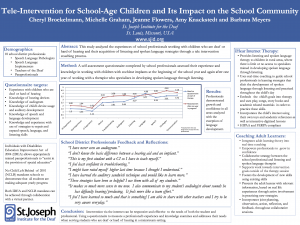 presented at the National Rural Educators Association (NREA). For more information or permissions to reproduce, contact us.